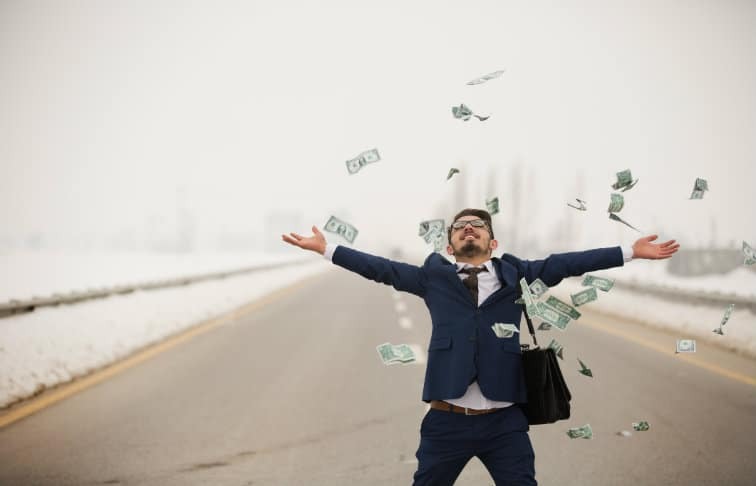 Learning how to make more in real estate takes time and commitment, but recent research shows there’s one thing that is guaranteed to increase your earnings: be happy. If it sounds too simple, it’s not. We surveyed agents across the country to uncover how they earn money in real estate and which real estate agents make more. 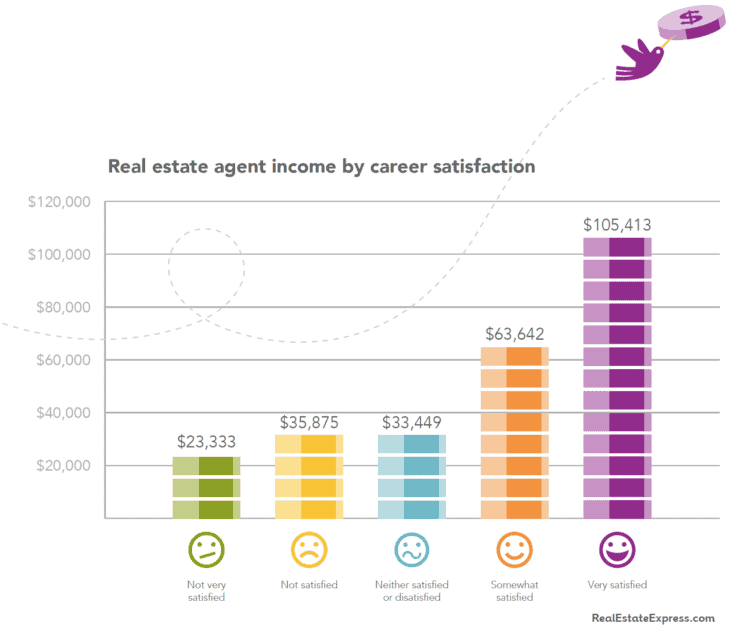 We found happy agents earn 4.5 times more than agents who aren’t satisfied in their jobs. Why do happy agents make more? How is it possible that happy agents make more — and considerably more — than agents who are unsatisfied with their work? For answers, we looked at a University of Warwick study suggesting that workers are 12% more productive. The study tested over 700 subjects with four different experiments. In one, some participants were given free chocolate and fruit while being shown a comedic movie clip. Other participants were asked about recent family hardships. Then, they assessed each group’s productivity with the happier group coming out noticeably on top. Alexander Kjerulf, the founder and Chief Happiness Officer at Denmark-based Woohoo Inc, has built a career advising companies on how to make the workplace happier. Some of his clients include Ikea, Microsoft, Volvo and Shell. Happy people work better with others. They worry less about making mistakes. Kjerulf is so passionate about how happiness impacts the workplace that he’s written a book devoted to the subject. Pro tip: you can read three free chapters of it here. For some, being happy comes naturally and for others, it can be a challenge. If you want to be more productive, creative and ultimately make more at work, it’s essential to learn how to be happy. The bonus? You’ll probably enjoy all the other aspects of your life a lot more, too!